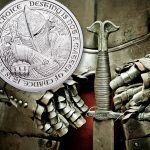 Top 6 Ways to Start the Collection of your Dreams – Plus, a bonus 7th tip from Littleton Coin Company’s President! 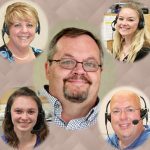 Recently, I had a chance to talk with some of our Account representatives. These are the folks who chat with people just like you. They help build collections and work to find just the right coin. 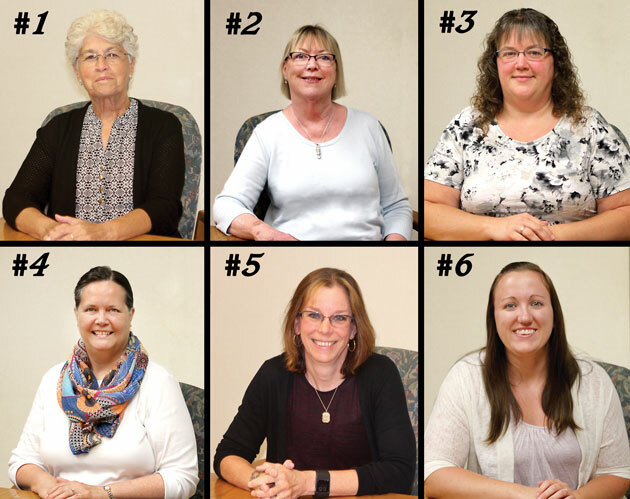 Together, these six representatives have over 80 years of experience with helping our customers, so they know what collectors like and what they enjoy most about the hobby! Without further ado, here are the top 6 ways to collect – direct from our pros! These ladies were happy to offer up their favorite ways to build a collection! Shown left to right, top: Dot, Kathy, and Kristie, bottom: Diana, Monique and Kori. 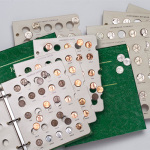 #1 Dot’s Pick – Key Dates “Key Dates” are found in every U.S. coin series. These are scarcer-date coins that are usually more difficult to find. Key Dates are very desirable, and they represent a small portion of U.S. issues. What’s the best part about collecting by “keys”? When you’re ready to finish your collection, you’ve already done the hardest part! Once you’ve done that, you’ll have a family heirloom that will be treasured for generations to come. #2 Kathy’s Pick – P&D Sets One of the easiest and most common ways to collect is by selecting newer Uncirculated issues from the Philadelphia and Denver Mints – “P’s” and “D’s.” Many newcomers to coin collecting start this way, with series like Statehood quarters, National Park quarters and Presidential dollars. Mint Sets offer another great way to build a P&D collection. 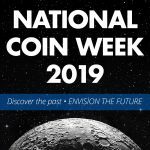 They hold each regular-issue Uncirculated coin minted for a particular year, giving you one complete set from Philadelphia and one from Denver. #3 Kristie’s Pick – Varieties If you’re looking for a challenge, variety coins are the way to go. Varieties are fun, but the coins are not as readily available as regular-issue coins. These are the coins that show some kind of variation from the normal as a result of minting process. 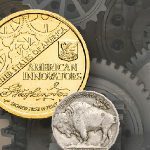 Plus, sometimes they come with interesting nicknames – like “Bugs Bunny”, a Die Clash on the 1955 Franklin half dollar, the “Hot Lips” Morgan dollar, or the “Godless” Presidential dollars. There really is no specific way to collect varieties, it is all up to the individual collector and what his or her preferences are. #4 Diana’s Pick – Year Sets Year Sets offer a fantastic and flexible way to assemble your collection (not to mention they make great gifts)! Most people start out by assembling Year Sets from their relatives’ birth years, or from special anniversaries. From there, you can round out a decade! Special Snap-Tite Holders offer a great way to organize the sets (and you can make a nice wall display by mounting one in a shadow box with memorabilia). Littleton’s America Revisited club offers Year Sets from 1934-1964, with each year presented in a colorful and informative holder. 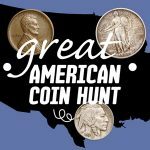 #5 Monique’s Pick – Collecting by Historic Events Historical collections can be a fun and exciting way to acquire coins and paper money while commemorating our history. Collections can be put together to mark events from our nation’s past – for example, with pieces from the World War II or Civil Rights eras. 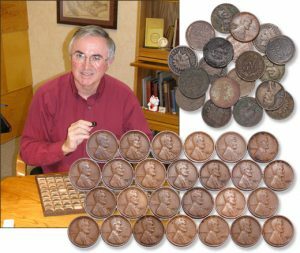 Another way to build this type of collection might be with coins honoring specific figures in our history, such as cents, notes and commemorative coins depicting Abraham Lincoln. I just love seeing collections that have been put together with a historical twist! #6 Kori’s Pick – Date and Mint Mark Set I always lean toward the complete date and mint mark collection. 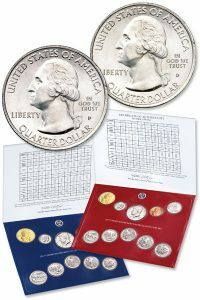 With this collection, you’ll acquire every date and mint mark issue released for the coin series you are collecting. 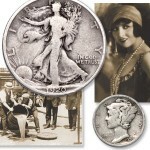 For example, say you find yourself drawn to the Liberty Walking Silver half dollars released from 1916-1947. 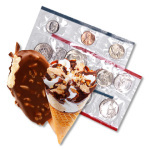 You would collect each piece from the Philadelphia, Denver and San Francisco Mints for each year of issue! I’ve heard from so many people that completing this kind of collection really comes with a sense of accomplishment. Compare the cents that didn’t meet Littleton’s grading standards (top right) to those that did (bottom right). 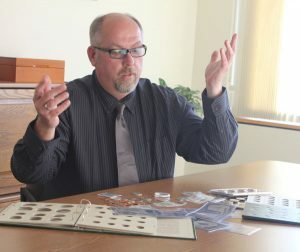 Littleton’s experts follow strict standards for eye appeal to make sure your coins are always right for their grade! remember a key goal should be eye appeal. Here at Littleton, we see a wide array of coins – and are always looking for pieces with even coloring that are “right” for their grade. You don’t want to own a coin that makes your heart sink every time you look at it. Look for pleasing coins that will “fit” with your other coins. Stay this course, and at the end of the day, you’ll have a matched collection with eye appeal. That’s something Littleton’s buying team prides itself on. Thanks to our strict standards, you can build at your leisure – the Extra Fine copper cents you bought today will match perfectly with the Extra Fine copper cents you add to your album in five years! I hope you found some helpful information in the hints above. Do you have a favorite way to collect, or a tip that might help someone else? Please share it in the comments below! When I really got started. I wanted at least one of each. Every types. Large cent. 1/2 cent. Eagle cent. Indian cent. 2 cents. Diff 3 cents. Each nickel and dime. 1/2 dime. 20 cent. Each quarter and half. Trade, Morgan, Peace and Ike dollars. Diff $1 gold coins. Hi Stephen, building Type Sets is a popular way to collect. Did you follow through and complete them or are you still working on them? I helped my Father with his coin collection when I was in school. Then I went into the NAVY and when I got out in 1971 I wasn’t into anything special but in the last few years (now that I’m retired) I have time to set around a read the information I have receive from LCC . I’ve completed my set of President Dollars and my Sacagawea and Native American Dollars. Next is my American Eagle Silver Dollar set. It is a very relaxing sport but some are hard to get because of the cost. But I keep telling my wife that it is an investment in my future for her to have after I’m gone. Thanks Chuck Jones member number 53549234 in California.